Following Hanshi's lead I've spent some time trawling through the following archive (20,000+ imags) and I have found two pictures that I believe are Funakoshi Gichin, in his role of school teacher. A third picture of Itosu has been found by Larry Kientz. Do we know which one of the group is believed to be Itosu? Would you be able to give us a “grid reference” for Funakoshi i.e. Row X, Y person from the left? Thanks Ally. Could you do the ones for the same for the ones you suspect may contain Funakoshi? Just so we are sure we are all looking at the same perosn. For both pictures you need to let your browser translate Japanese to English. To access the picture select the magnifying glass with "View With Big Picture"
Front row, fourth from left. Third row, fourth from the left. Thanks Ally! I can certainly see a likeness with the second one. What do others think? We know Funakoshi was a teacher. Do we know if it was Nishijin Elementary School specifically? Interesting. I like this tread and especially the linked article by Andreas Quast. And for that matter, what seems much more interesting is this: Who is the person right next to Itosu? I wonder, could that be the man that had been washed up on an Okinawan beach and had taught Matsumura one or two famous kata? Has anybody ever even noticed the guy? Haha, yeah regatta jackets were all the range back then, good pic! The only other information I have is from what Andreas Quast has mentioned on another forum: Teaching at Tomari Elementary School at that time. "(See: Shoshin Nagamine (Transl. Patrick McCarthy): Tales of Okinawa's Great Masters, page 71). 5. When Funakoshi taught at that school in 1916, chances are good that he did so throughout the school year 1916/17 (at the least). According to the above, Funakoshi should be in the photo. What originally got me suspicious about the accuracy of the photo is that it does not look at all like the famous drawings regarded as being of Itosu. It than struck me that the gentleman in the "Itosu" photo looks a lot like Chomo Hanashiro, and that it just might be a mistake that stuck (as often happens in Wikipedia regarding lesser known topics). I hope this post helps to clarify this interesting issue. Whilst researching the Naha City archive I noticed many pictures with portrait inserts. I believe it to be a normal process, for the time, to represent missing persons who should have been in the picture but were unable to attend. no that is Hanashiro Chomo. Picture was taken at the famous meeting of the masters in 1936. Itosu died in 1915. Wow! 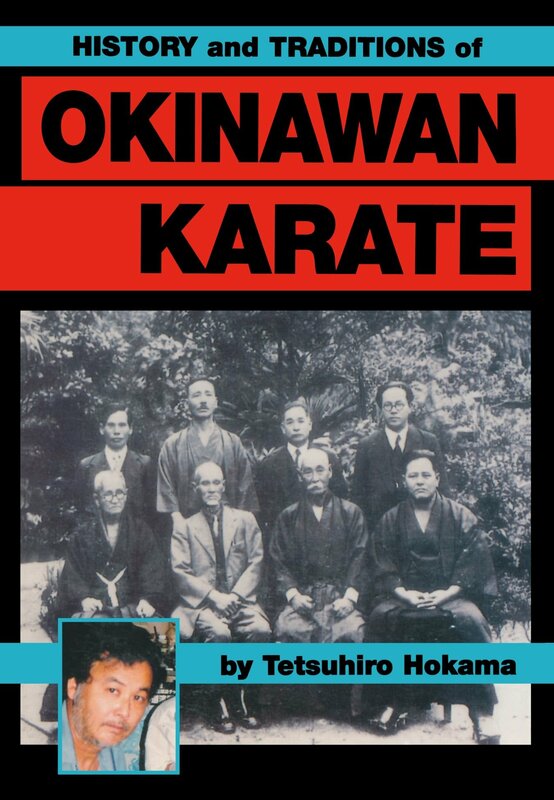 How many white-haired, moustachioed Okinawan Karate Masters were there?! Coincidentally, Itosu was also Hanashiro's teacher, so maybe he inpired and influenced his look a little bit? Miyake Sango (1847 – date of death unknown), who was born in Miyazaki Prefecture. 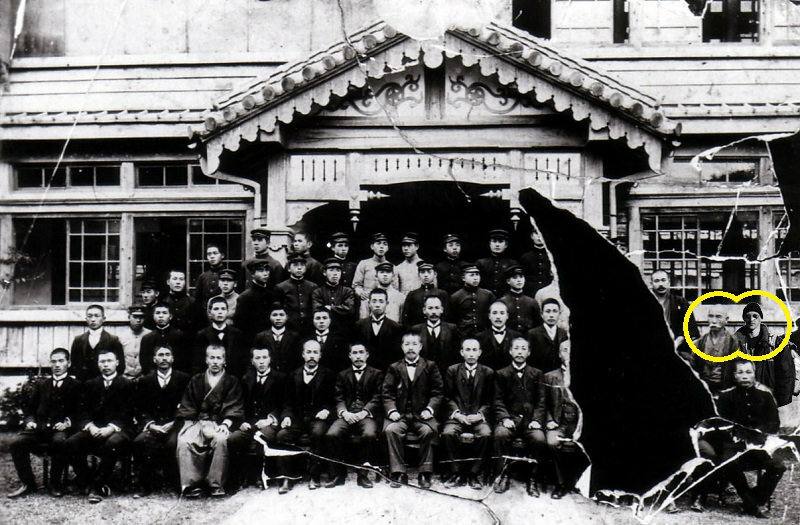 After having taken part in the Satsuma Rebellion (an 1877 uprising in Satsuma led by Saigō Takamori), Miyake came to Okinawa and served as a teacher of Gekken (an original form of Kendo) at the Prefectural Teachers College (Shuri) and the Prefectural Middle School (Shuri) as well as at the prefectural police.